You have just been kicked out of a membership site or forum. They have blocked your access by banning your IP Address, but you want to access that site. You school’s IT department has restricted website access and you can’t get to MySpace from school? You can’t get to GMail at work? If you find yourself in any such situation, then an option to access these websites is to use some free proxies. There are lots of them available on the Internet and some of them really do an excellent job. But using proxies to access blocked websites is major hassle, specially when you want to use the proxies only for certain websites only. For instance, in case your school has blocked access to social networking sites but has allowed to the access to other websites, then you will have to switch between the proxy mode and without proxy mode, every time you want to switch from MySpace to other websites and vice-versa. it is such a big headache. If you are using Firefox then there is an easy solution. 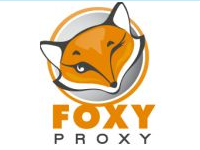 Just download and install FoxyProxy and you will be able to configure the use of different proxies for different websites. You can change settings one time, and whenever you will go to a particular URL with which a proxy is defined to be used, FoxyProxy will make sure that you open that URL with the proxy of your choice, without bothering you to change the proxy settings every time. Put simply, FoxyProxy automates the manual process of editing Firefox’s Connection Settings dialog. Proxy server switching occurs based on the loading URL and the switching rules you define. Animated icons show you when a proxy is in use. Advanced logging shows you which proxies were used and when. QuickAdd makes it a snap to create new URL patterns on-the-fly. FoxyProxy is fully compatible with Portable Firefox, has better support for PAC files than Firefox itself, and is translated into more than 25 languages. There is a pro version of FoxyProxy also, which can be downloaded from the website of FoxyProxy on payment basis. The paid version has some additional feature, which allow you greater control over the use of proxies and allows less manual intervention while switching proxies. FoxyProxy is often criticized for keeping the best features restricted for paid users. But I think, that this criticism is baseless. Freeware seeker can’t complain of what they have got. They must realize that software development requires tremendous amount of effort and time. If they are not satisfied with what they are getting, they always have the choice of not availing it. Here is a nice video on how to use FoxyProxy. Hi folks, I have synthesized all I have learned on accessing blocked internet sites in a text file. I think there all of you that have problems opening something on the computer in work could find a way to do it. If you have just found that your IP is banned you can get proxy account https://www.iwasel.com/en/ I was blocked, got the account.. connected with no degradation in speed… It’s a great solution.